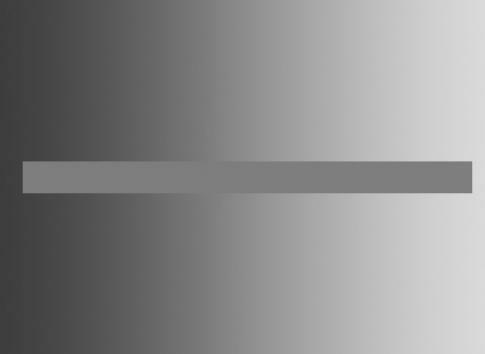 This image shows a grey stripe on a gradient background. The stripe appears to be shaded with a grey gradient also, however if you look closely you'll see that in reality the stripe is the same color all the way across. 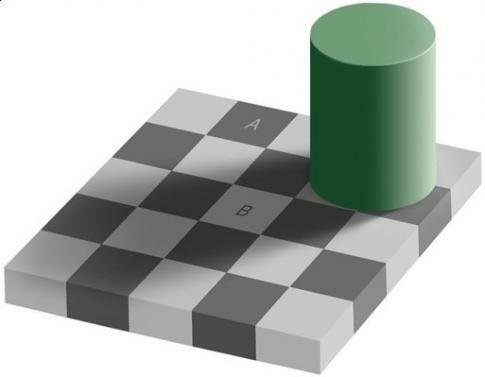 In this picture the squares marked A and B are exactly the same color, despite the fact that A looks a lot darker than B. The fact that B falls within the shadow of the green object fools the eyes in to perceiving the shades of grey differently. 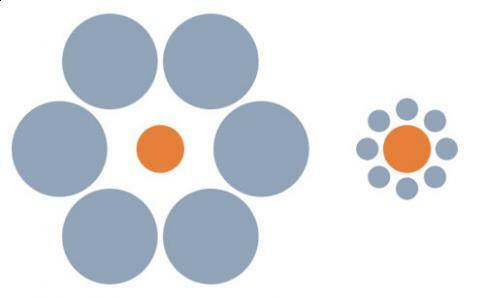 It is in fact very difficult to see these two squares as the same color even when you are told that they are. 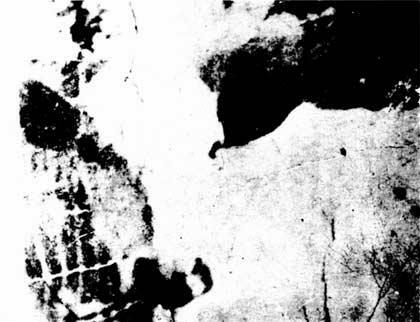 The question here is straight forward enough - what is this a picture of ? 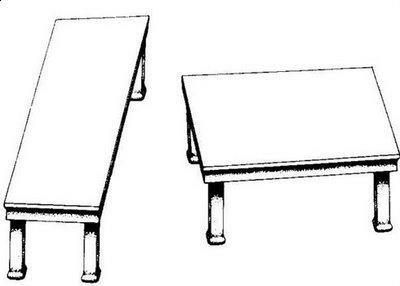 The answer is simpler than you might think.